Ellen is a blogger (Babies, Biscuits and Booze blog) and journalist and has a 10 month old baby boy. As soon as you become a parent sleep suddenly takes on an even more important role in your life. You try to find the perfect fuss-free, no tears bedtime routine and long for the day your baby or toddler finally sleeps through. Everyone, including strangers who admire your adorable babe while you’re out and about, will ask you how your cherub is sleeping. Personally I think the most important thing when facing the sleep patterns of a baby is acceptance. Once you accept that they probably won’t sleep for 12 solid hours every night from the age of 3 months, you feel better able to face whatever the nights throw at you. A good routine is key, though. Some general tips for bedtime routines are to keep things calm and quiet, have a no screen rule in the hour or two before bed, stay upstairs after their bath so they understand it is bedtime and be consistent each night. I like to read the same bedtime book to my son – we read one or two story books that we change each evening then lastly read the same book about going to bed. I think this sends a strong clue to him that it is now bedtime! Hopefully at some stage you get to the point where bedtime isn’t entirely painful and you know roughly how your baby’s routine functions. Just when all was harmonious at bedtime you are thrown off balance once again and you might find separation anxiety, illness, teething or developmental leaps can upset the routine. 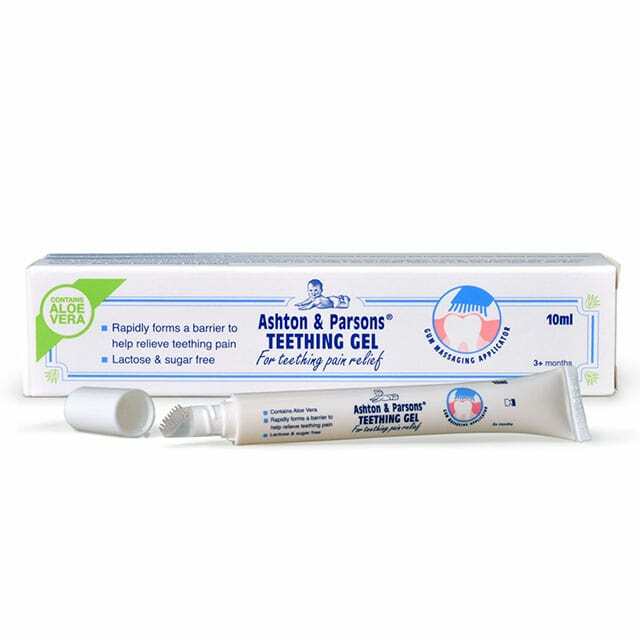 We have found all of these things affect us at some stage or another and while in most cases there’s not much you can do, there are some brilliant teething remedies. 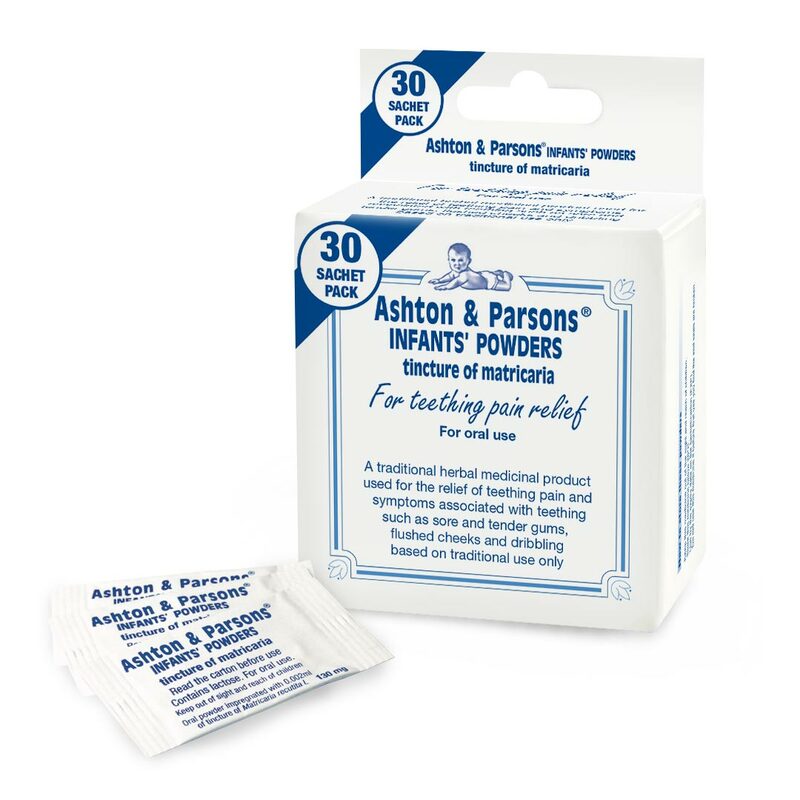 There are many teething remedies available, such as Ashton & Parsons Infants’ Powders, which have traditionally been used to relieve the pain and symptoms associated with teething. We used these powders when our little boy was suffering with the pain of teething. There is one other big stumbling block when it comes to sleep routines: the clocks changing. The good news is there are some things you can do to help you cope. The best way to avoid disruption is to alter your child’s bedtime in the weeks leading up to the change. You could move it by 15 minutes every couple of days or 5 minutes each day starting a few weeks before the clock change. In October the clocks are going back so you would need to put your children to bed later, so that once the clock change occurs they are going to bed at their normal time. In the springtime you will do it the opposite way and put them to bed a little earlier each night. Hopefully the gradual shift will mean that when the hour moves they will be able to go to bed without any problem. Again, a good routine is key and in this situation it’s very important to stick to it. Depending upon the age of your child they may not even realise that you are shifting their bedtime slightly. If they do query the time you can explain that the clocks are changing soon and you don’t want them to miss out on any of their lovely sleep time. If you’ve got a set routine – let’s say milk, bath and a book, you should keep this exactly the same but start implementing it a bit later. You may find morning wakings are earlier after the clocks go back. Some people like to use clocks in their child’s bedroom which change colour at, say, 7am so little ones know that before that time it’s still nighttime and too early to get up. Blackout blinds are useful for younger babies and toddlers as it will allow you to decide when to let the light in and should send the message that it is nighttime whenever the blinds are down. Don’t forget to adjust naps in the same way if your child is still napping. You might find it useful to alter meal times as well so that the baby or child’s whole routine is in sync with their new bedtime (this will obviously work best in pre-school children as unfortunately you can’t change school hours!). Spending time outside can be a good way of helping your child’s body clock adjust so they are in line with the new time zone. Exposing them to daylight will help their bodies realise what time it is and I am a firm believer that fresh air helps everyone sleep better too. Good luck with the clock change – hopefully these tips will help for a smoother transition and better sleep! AL/2280/09.16/0.001. Date of prep: Sept 2016.